I liked the movie but I wanted it to be longer! I am so excited DH is being made into 2 films! My 6 y/o son talked through the entire movie when we took him to see it. He knows his HP. ;) My husband was disappointed with this one, but I told him it was because he did not read the book and them movie only portrayed part of the book, IMHO. I heard that they will be splitting Deathly Hallows into two movies. I hope so...there's a lot to that book!! I just stumbled onto your blog. it is precious! I look forward to returning and following you! I agree with the stuff that was left out. 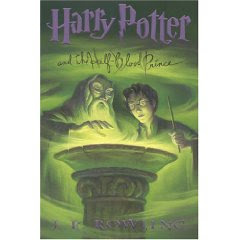 I'm a big Harry Potter fan too and alwats will be. Just like Twilight now. But the first two books and movies were fine for kids I thought. Thanks for asking the question.